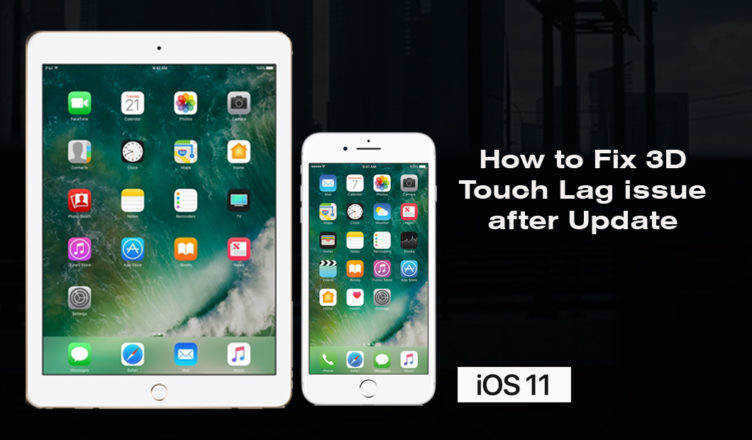 "My touchscreen stopped working after iOS 12.1.2 update"
When iPhone 7 touch screen issues happens, your iPhone 7/7 Plus becomes unresponsive to your touch preventing you from accessing it. Well! The reasons behind it could involve a physical damage that might have disrupted the connection between the touch sensor and the underlying system of your iPhone. Or, on the other hand it might be a software glitch due to which the iPhone 7 touch screen is not working. Such unresponsiveness of your iPhone 7/7 Plus touch screen is sure to annoy you. But, worrying won't get you out of this problem. We have some amazing solutions for you to help you smoothly sail out of this problem. Read on to know more! When your iPhone 7/7 Plus touch screen won't work, the kind of inconvenience differs for everyone. We have listed the most common issues with an unresponsive iPhone 7/7 Plus screen here. Let's explore in detail. 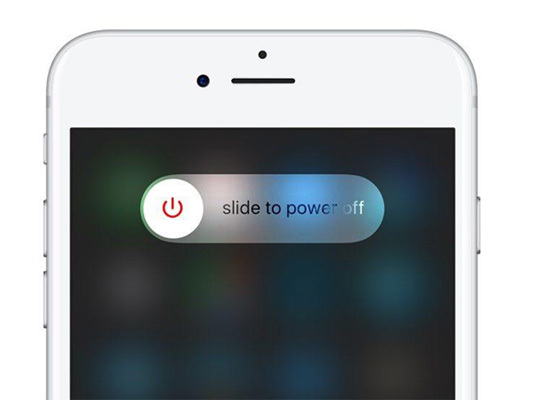 1.	iPhone 7 touch screen responds slowly, preventing you from using it properly. It might work but in a frustratingly slow pace. 2. The screen is not responsive on incoming calls which otherwise was working fine. 3. Suddenly the screen stops working when you try to swipe or touch. 4. Screen doesn't respond after installing and trying to launch a particular app. Dirt, liquids, residues, moisture or food crusts even the finest of them deposited onscreen can result in touch screen not working on your iPhone issue. The problem persists if your stylus, fingers, or other touch-input devices are messy (obstructing the touch-sensor interaction). Remove the third-party screen guard/tamperproof if any, wipe the screen with a damp soft-cloth/cotton, clean and dry your fingers or stylus to resolve the issue. Minor glitches in your iPhone can be handled by hard rebooting the device. When cleaning the screen turned futile, try this method using the following steps. Press and hold the 'Volume Down' and 'Sleep/Wake' button concurrently until you see the Apple logo appear onscreen. Let your device to reboot. Your unresponsive/frozen screen should respond properly now. At times, if your iPhone 7/7 plus touch screen is not responding properly, the reason behind could be a/some faulty apps. Perhaps you may experience such issue right after installation or whenever you want to launch those apps. Try updating, or deleting and reinstalling such apps and see if your iPhone works fine thereafter or not. If yes, those apps are having a bug and your iPhone is perfectly fine. Removing such apps would possibly solve this unresponsive touch screen issue. Sometimes an unresponsive iPhone screen is also experienced when the storage is full. Free up some space to let the device work properly. Follow the below mentioned steps to find and delete the space consuming data. Go to 'Settings' > 'General' > 'Storage & Usage' > 'Manage Storage'. Next solution that you can try to fix the issue is to restore your iPhone as a new one. To perform iTunes restore process, use the below mentioned steps. But remember this will wipe off all your data. Launch iTunes on a trusted computer and connect your iPhone > in iTunes tap 'Devices' > 'Summary' > 'Restore iPhone'. When none of the above methods offer solace, Tenorshare ReiBoot is a savior and is worth giving a try for fixing iPhone 7 touch screen not working problem along with other major iOS issues. It can fix all iOS issues while ensuring that your iPhone data stays protected during the process. The software is trusted globally by millions of users due to its ability to flawlessly resolve a wide range of stuck screen issues, iOS issues and iTunes errors. Step 1:	Install Tenorshare ReiBoot on your computer from the official website and launch it. Connect your iPhone to your PC using a USB cable. Step 2:	Choose "Fix All iOS Stuck" option and then click the 'Fix Now' (for iOS 10)/'Fix Now (All iOS 11 Stucl)' (for iOS 11 or latest) button for fixing the frozen and unresponsive screen on your iPhone 7/7 Plus. Step 3: The next screen will ask you to download the latest compatible firmware for your device. The software will automatically detect it, you simply need to hit on 'Download'. Step 4: Once the package has been downloaded, you are then required to tap on 'Start Repair' button to initiate the repair. Well! If none of the above listed solutions fixed the 'touch screen not working on iPhone 7/7 Plus' issue, then restoring your iPhone in DFU mode to fix it is the last resort. Here's is how to do it. Launch 'iTunes' > Connect your 'iPhone' > press the 'Sleep/Wake' button for 5 seconds and the 'Home' button for 10 seconds > Leave the 'Sleep/Wake' button > Release the 'Home' button after seeing the screen turn black. Now, your iPhone has entered DFU mode and iTunes will detect it. Follow the restore process in solution #5 to restore the iPhone. Moving towards the end of the discussion, we are now positive that you have full understanding about the aforementioned solutions and how to perform them. We now hope that your iPhone 7 touch screen not working must have been resolved. Thank you for reading the post. Please share your views in the comment section below. 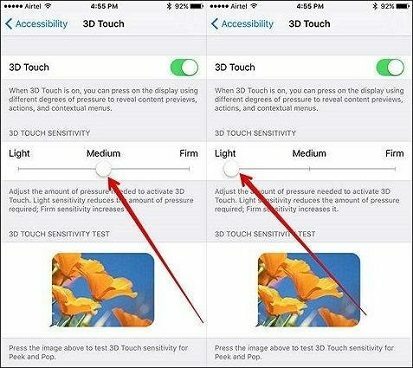 [SOLVED] How to Fix 3D Touch Lag in iOS 11 and iOS 12?